This book had a little bit more meat to it than the other book on Ignatian discernment that I read earlier this year when it was part of my spiritual direction curriculum. This is the replacement, and I think it is a good choice. 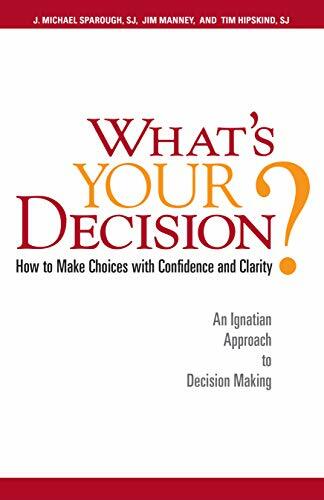 The authors do a great job of explaining the principles of decision making that Ignatius laid out in the Spiritual Exercises. I particularly liked that they used scenarios and walked you through the principles for each scenario. It was quite helpful. What is so funny is that I went to a "Wisdom of the Enneagram" Seminar, and the Catholic priest who taught it tied the Enneagram types and Ignatian principles of discernment together. I thought that was providential that I happened to reading this book at the same time!